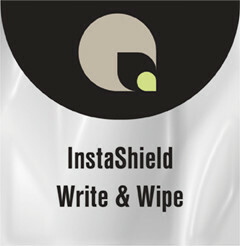 A 1.0 mil clear polyester overlaminate film with a high performance dry-erase coating. Gloss finish that protects printed images. Ideal for menu boards, business presentations and signage that requires dry-erase capability. Can be used with most dry erase markers and erasers.